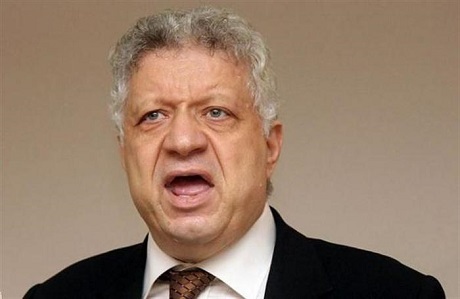 Egyptian MP, chairman of Zamalek Sporting Club, and high-profile lawyer Mortada Mansour announced on Saturday during a phone call with TV presenter Ahmed Moussa that he intends to run in Egypt’s upcoming presidential elections, scheduled for 26-28 March. The 65-year-old Mansour said he will start collecting endorsements starting Sunday. Hopeful candidates must receive endorsements from a minimum of 20 MPs, or 25,000 citizens from at least 15 governorates, with at least 1,000 endorsements from each governorate. Candidates must submit their applications to the National Elections Authority between 20 and 29 January. Mansour is the third to announce his intention to run for president in 2018, after former Egyptian Army Chief-of-Staff Sami Anan and leftist lawyer and labour activist Khaled Ali. President Abdel-Fattah El-Sisi, whose first term ends in June, has not declared his intention to run. However, over 500 MPs, including House speaker Ali Abdel-Aal, have signed endorsements supporting his candidature. El-Sisi received nearly 97 percent of the vote in the 2014 presidential elections, a two-man contest with leftist politician Hamdeen Sabahi. Mansour had announced his intention to run in the 2014 presidential elections, later withdrawing and backing El-Sisi.